With the last round of the 2015 MotoGP™ World Championship underway, Valentino Rossi has become focused entirely on Sunday’s race. The Movistar Yamaha rider got straight to work in FP1, beginning the day with a run of 15 laps. The Doctor set a series of competitive times in the mid to low 1’32s before dropping into the 1’31s in the final laps. 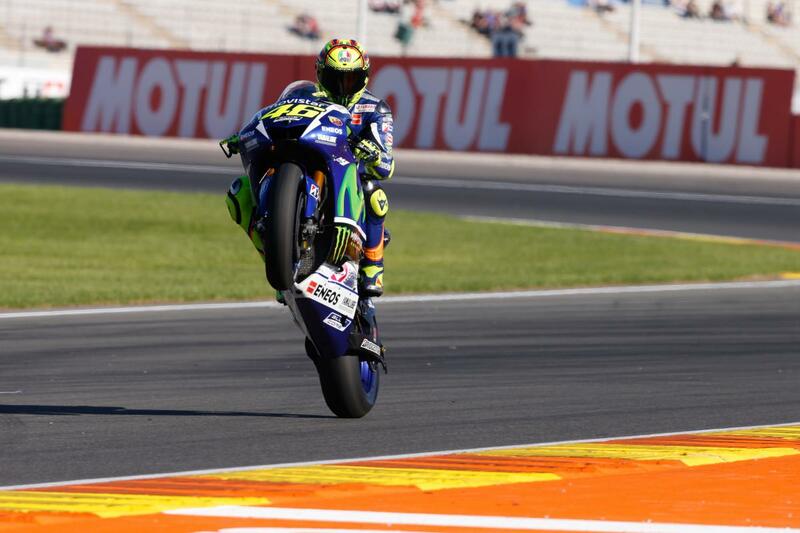 Rossi ended the first session in fifth position and was confident with how he was riding. 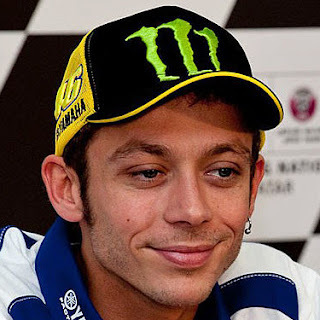 Knowing he would start from the back of the grid has removed a lot of pressure from Rossi’s shoulders and the experienced Italian is riding more relaxed. The afternoon session was also spent with the majority of time on track; Rossi took an early lead but was shuffled back as other riders fitted a soft tyre. Several tweaks to setting followed and Rossi was able to improve his time to a 1’31.475 as his best time of Friday. This placed the Italian in fifth overall. Tyre choice is still unknown, Rossi comparing both the hard and soft options during FP2 to give himself and the team more data. Rossi will be able to participate in both Q1 and Q2 as normal on Saturday but will then be moved to the back of the grid for Sunday due to having a total of four penalty points. I‘m also happy that in the afternoon we tried something different that made me increase my rhythm and improve my lap times. I used the hard tyres and it wasn‘t so bad and after I tried the soft to make a comparison and make the right choice for Sunday.